Save the dates for these two upcoming Sage 100 scripting classes by Alnoor Cassim of xkzero! Register for the intermediate class by April 30 to save $300. By popular demand, we extended this offer from the original March 1 date. Email us now to save your spot (and a few hundred bucks)! Classes will be held at xkzero’s office, a 10-minute drive from Chicago’s O’Hare International Airport. For your convenience, the Intermediate class is being offered the two days immediately prior to the start of Sage Summit 2016 in Chicago. 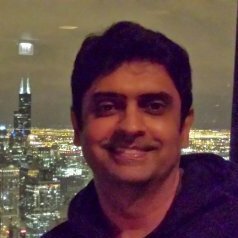 Learn from Alnoor Cassim, one of the masters of customizing Sage 100 using VB scripting. You won’t want to miss these classes. The cost for each Sage 100 scripting class is $1,199. Early bird price for Intermediate Scripting class registrations received by April 30, 2016 is $899. Email Santos Rodriguez now at srodriguez@xkzero.com to save your spot! Space is limited, so contact us right away, and you will be placed into the queue in the order requests are received. A formal invitation with links for official registration and details on payment remittance will follow. Don’t delay registration. Prior versions of these classes have sold out quickly. We hope to see you at one or both of Alnoor’s scripting classes! The basic level Sage 100 scripting class will be a 2-day, fairly intense on-premise instructor-led classroom training at xkzero’s Chicago training facility. On Day 1, from the morning through lunchtime, Alnoor will lead a review and discussion of scripting concepts, and provide an overview of Sage 100 business objects, and an explanation of the ways Custom Office plays a major role in User-Defined Scripting. After lunch on Day 1, and all of Day 2, participants will have a heavy hands-on experience, with the vast majority of time spent working on labs and activities based on real-life Sage 100 scripting projects. Take-home materials included with the course: 40+ page curriculum, scripting reference guide, and 60+ actual scripts from real-life projects. The intermediate-level Sage 100 scripting class will be a 2-day intense on-premise instructor-led classroom training at xzkero’s Chicago training facility. We have scheduled this class to accommodate those attending Sage Summit 2016 in Chicago, which begins July 25. This is a follow-up class that continues where the basics-level lessons left off. We will emphasize advanced concepts and user-interface (UI) scripts. It is designed for those who have been designing scripts for clients or for their own company projects, and now want to take scripting to the next level. Like the basics class, the majority of time will be spent working on labs and activities. Take-home materials included with the course: 40+ page curriculum, scripting reference guide, and 75+ actual scripts from real-life projects. Prerequisite: Attendance of the Sage 100 Basics of Scripting course or permission from the instructor. Early bird alert! Register for Intermediate Scripting by April 30 to save $300. Email us now to save your spot! This entry was posted in Events, Revolutionize ERP, xkzero Technical Services and tagged Alnoor Cassim, Sage 100 scripting, Sage Summit 2016 pre-conference training, VB scripting for Sage 100 by xkzero. Bookmark the permalink.